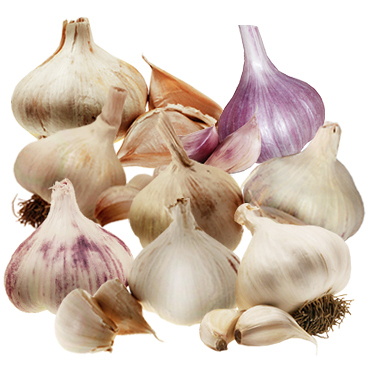 A selection of 8 garlic varieties for the avid garlic grower. 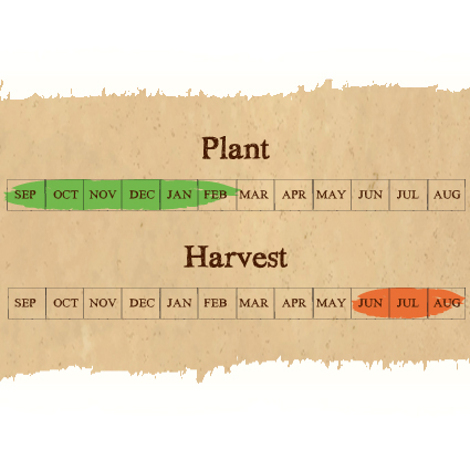 This selection will allow for both Autumn and Spring planting with harvest times from May to mid August. Red Duke x 1 bulb: Allium Sativum ophioscorodon (Hardneck) - The last stronghold of rare exotic hardnecks with fierce and spicy flavours is in Eastern Europe. Hotter and stronger than any of the commonly planted garlic in the UK. Solent Wight x 1 bulb: Allium Sativum (Softneck) - The original Isle of Wight garlic, particularly well suited to our UK climate. Our best garlic in terms of overall eating and keeping quality. Elephant Garlic x 3 cloves: Allium ampeloprasum: A fun member of the allium family, Elephant garlic can grow, with adequate water, to 150mm across and weigh over a kilo. Tuscany Wight x 1 bulb: Allium sativum (Softneck) - Originating in the rolling, fertile Tuscan countryside, this large white garlic is a late type like Venetian & Solent Wight. Provence Wight x 2 bulb: Allium sativum (Softneck) - A large white softneck garlic with purple streaks that can produce bulbs that approach Elephant Garlic size. Iberian Wight x 1 bulb: Allium Sativum (Softneck) – Large fat white garlic with purple stripes, origin in south west Spain. Purple when grown close to surface. Excellent all round garlic with large cloves. Picardy Wight x 1 bulb: Allium Sativum (Softneck) - Adapted to cooler and wetter conditions, will grow anywhere in the UK that has proved a challenge to other garlic.